Very attractive to look at, and keeping accurate time! "Very attractive to look at, and keeping accurate time! " The Portmeirion group is an iconic part of Britains design heritage the brands of ‘Portmeirion’, ‘Spode’ and ‘Royal Worcester’ each have a unique identity. 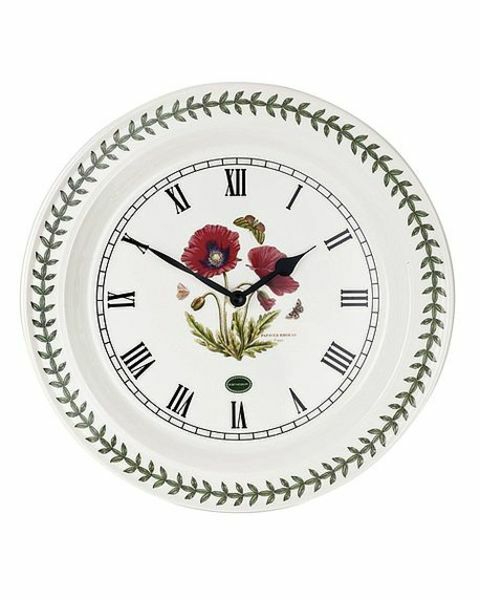 This earthenware wallclock features an elegant Poppy design.